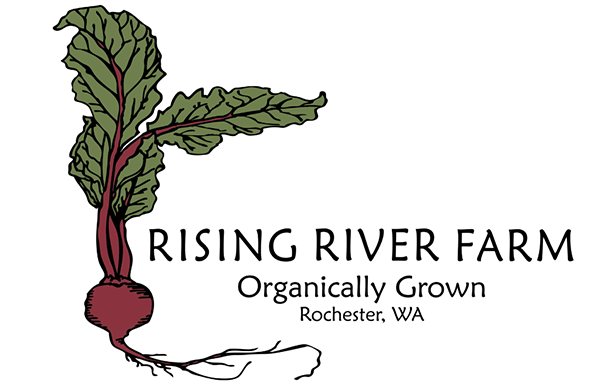 Rising River Farm is a small family farm, owned and operated by Jim McGinn and Jennifer Belknap. We grow over 100 varieties of organic vegetables, culinary herbs, and strawberries on 15 acres in Rochester, WA. We are at the market Thursday through Sunday from late April through October, and Saturdays and Sundays in November and December. The market is also a delivery point for our CSA program. Please visit our website for CSA details. www.risingriverfarm.com You will find our produce to be of the highest quality and quite affordable. We offer great deals on bulk quantities of produce for canning, freezing, and storing. Pickling cucumbers are our specialty. We begin taking orders for cucumbers in early July. Contact the farm or visit our stand to place your order. 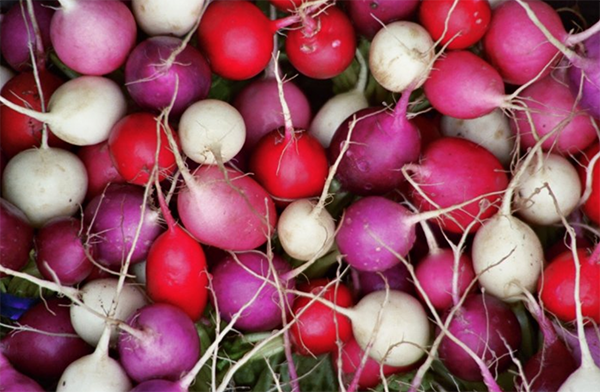 In addition to produce, we sell a wide variety of vegetable and culinary herb starts from late April through June. We grow all of our starts organically, and choose varieties that are proven to thrive in this climate. Many of the varieties we grow right here on our farm.